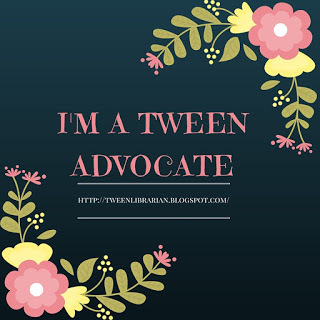 Please welcome author Julie Mata to GreenBeanTeenQueen! Her second book in the Kate Walden Directs series is Bride of Slug Man, is out this month! About the Book: (from Goodreads) After her huge success with her first feature-length movie, seventh-grader Kate Walden is eager to start on her next film, a sci-fi romance called Bride of Slug Man. When a new kid comes to town from New York City, Kate thinks she might have a new found film buddy-someone to share her interest with. And it doesn't hurt that he's pretty cute. But it turns out that Tristan is making his own movie, and now the classmates Kate thought were eager to join her cast and crew are divided. But between the cut throat popularity contest, a bully situation that goes from bad to worse, and several on-set mishaps, Kate is going to need all the movie magic she can get to make sure Bride of Slug Man hits the big screen. Can I admit to a tiny pet peeve? It’s certain “mean girl” and “mean boy” characters in children’s books. You know the ones—everything they do and say is mean and their nasty behavior is usually aimed at the main character. They appear to have no role other than to cause problems for the MC. In contrast, the MC is the sympathetic “good kid” who sometimes suffers from terrible flaws like being too generous or too concerned about their friends and family. Here’s my peeve—I raised two girls, hung out with a lot of middle school-age kids, and none of them fit either of the “good kid/bad kid” descriptions. I saw nice kids who had bad days and said mean things, even to their friends. I also saw kids who—yes—were more troubled, who had issues, but were still capable of kindness, humor and friendship. In other words, they were real kids. When I sat down to write about Kate Walden, I wanted her to be a strong, likeable, funny character, but I also wanted her to be real. 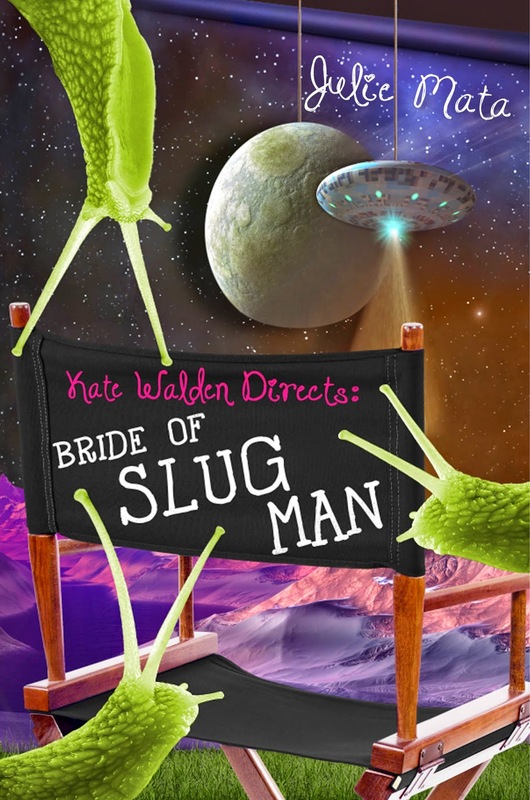 In Kate Walden Directs: Bride of Slug Man, Kate has already finished one movie to great acclaim. All the kids at school want to be in her next project. Suddenly, a cute new boy shows up who also likes to make movies, and they become rivals. Kate struggles with spiteful feelings. She makes bad assumptions and nurses a grudge. Really, couldn’t that be any of us on a bad day? Luckily, Kate learns from her mistakes, which is what I think parents should hope for—not that our children will be perfect “good kids,” because that’s a huge expectation to put on anyone, but that they will learn from their stumbles and grow emotionally as they grow physically. Let’s face it—middle school years can be tough. Innocent childhood is receding and adulthood looms on the far horizon like a scary gray fog. Like a lot of kids at that age, Kate worries about her social standing and what other kids think of her, but she’s also a plucky girl who’s not afraid to pursue a big dream. Hopefully, middle grade readers can relate to her character and maybe even see some of themselves in her humorous antics and social misfires. About Julie: Julie Mata grew up outside Chicago and currently lives in Wisconsin, where she owns a video production business with her husband.. She loves movies and once wrote and directed her own short film. She also loves traveling, gardening, and reading a really good book. Her first book was Kate Walden Directs: Night of the Zombie Chickens. For more information, including a downloadable curriculum guide and a filmmaking tip of the month, visit her website: juliemata.com. Follow along on the Bride of Slug Man blog tour! 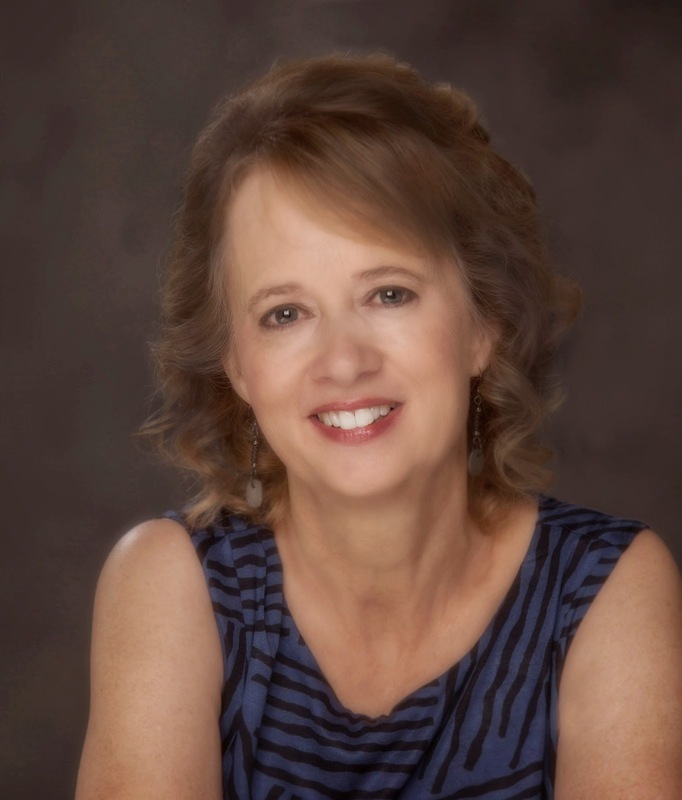 Want to win a copies of the Kate Walden Directs books? Fill out the form below to enter!